Induced Draft Fan Keeping in mind the diverse requirements of the clients, we are engaged in manufacturing, supplying and exporting a wide array of ID Fans (Induced Draft Fans) . The entire product range is available in different configurations and is designed and manufactured by our experts with utmost precision. We offer our clients with a technically upgraded array of Forced Draft / ID / SA fans that to suit the exact duty conditions with optimum efficiency to cater to varied industrial needs. Being a customer oriented enterprise, we are engaged in providing a wide array of Induced Draft Fans. Our ID Fans are high quality boiler spares that are widely used in various industry applications. These are available varied dimensions and specifications to suit the demands of customers. Based on advanced technology, our range can be availed at market leading price. 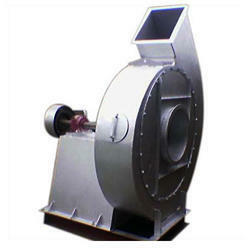 - All types of blowers available with V-Belt drive or Direct drive. We bring forth for our clients superior quality ID Fan. These ID Fan are made from high quality of raw material which ensure durability at its user end. The impellers are precision balanced for smooth and vibration less operations. 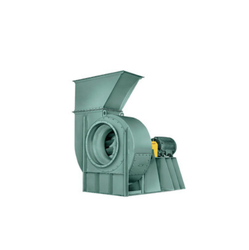 Our range of blowers are fabricated various metals and alloys, depending upon the kind of usage.